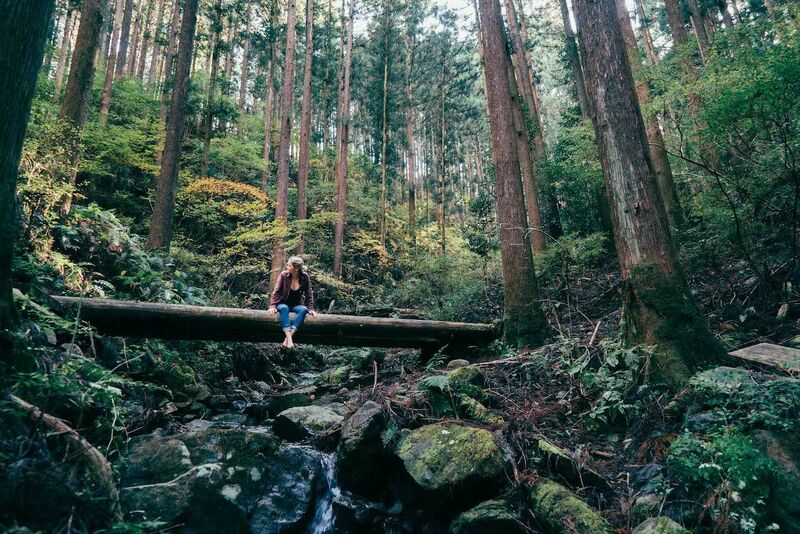 Japanese forest bathing sounds like a spa treatment you probably can’t afford. Or something exclusive to the adorable snow monkeys from the lead-ins at the Nagano Olympics and the Great Plains Zoo. But it actually has nothing to do with soaking in water, and everything to do with soaking in nature as a way to counteract the sensory overload of modern life. Forest bathing, or shinrin-yoku as the Japanese call it, surmises that by spending time “bathing” in the forest, people can reduce stress, lower blood pressure, and generally undo the medical ills living in a big city brings. Matador Network’s Art Director Mike Dewey and Supervising Producer Kati Hetrick set out to see if forest bathing really did change one’s body, going straight to the source in Japan to test it out. First, they spoke with Japanese researcher Yoshifumi Miyazaki, who explained that for 99.9 percent of human history we’ve lived in nature, and only during the last 0.1 percent have we trapped ourselves in urban jungles. Effectively, our biology wants us to be around trees, fresh air, and animals. And going against that by living in congested cities with sedentary lifestyles, we’re creating stress. With that comes health problems, dissatisfaction, and a general lack of well-being. 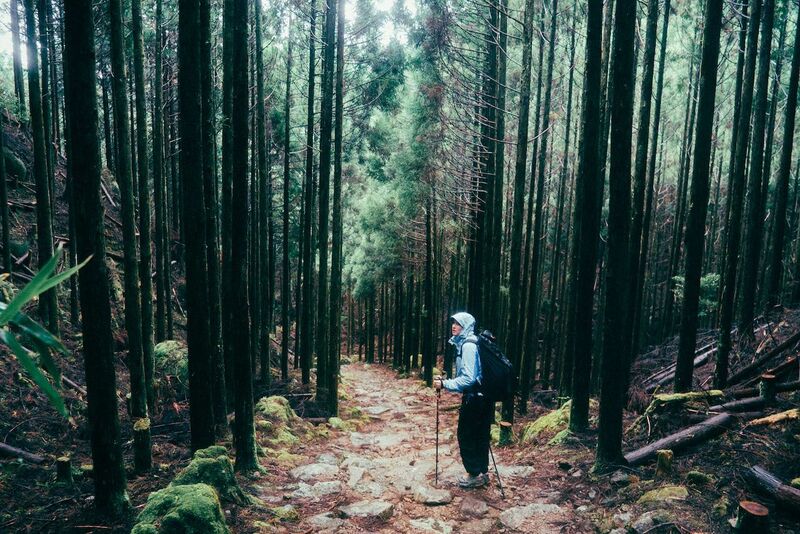 Armed with this knowledge, the duo set out for four solid days of forest bathing while trekking the Kumano Kodo trail, once used by retired emperors as a way to find peace and wellness for the world. 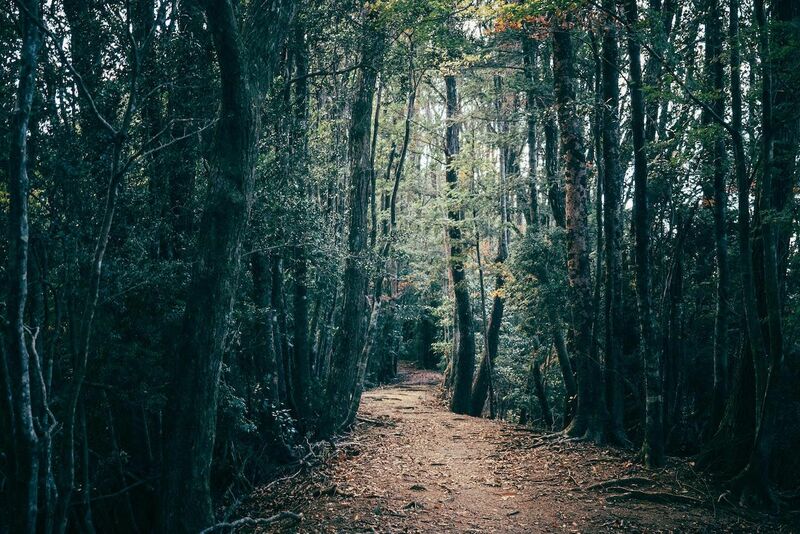 If commoners were able to conquer the hardships of the trail, legend says, they’d be rewarded with happiness, good health, prosperity, and all the other good stuff one would hope comes along with forest bathing. 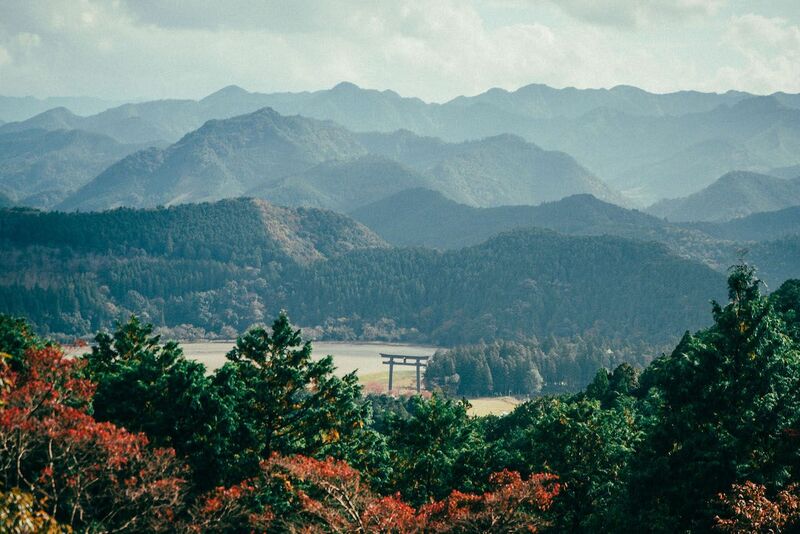 To find communion with nature, Dewey and Hetrick agreed to turn off their phones for the duration of the four-day journey from Tanabe to Nachi Taisha, bringing along only the camera equipment they needed. Over the course of the four days submerged in the forest, both Dewey and Hetrick find themselves more relaxed, sleeping better, and becoming more productive. The trek becomes more for Dewey and Hetrick than a simple walk in the woods. 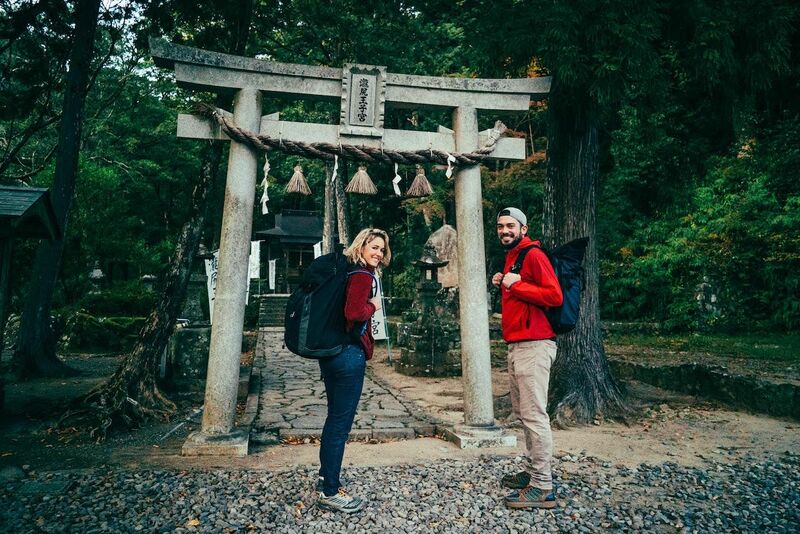 Through interacting with their hosts in small forest villages and visiting the Shinto shrines left along the trail, they find a new appreciation for the wonders of the forest and the culture of the region. Of course, it’s easy to feel the calm and relaxation of the forest when it’s temperate and overcast. 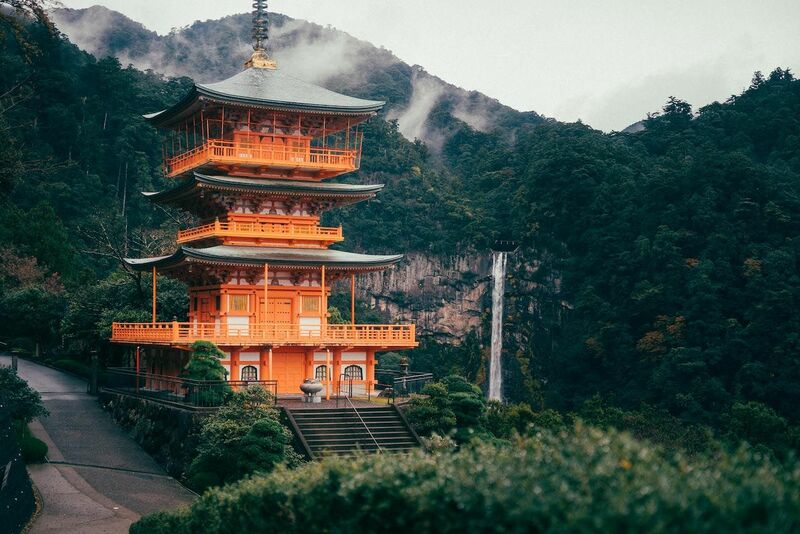 Their newfound awe of wilderness gets a monstrous test on the final day, when the 10-mile, uphill trek to Nachi Taisha starts out with torrential downpour. Tired, wet, and ready for an onsen spa, they persevered. And miserable as the final day becomes, the lesson is not lost. The concept of escaping the city into the forest to decompress isn’t exclusive to the Japanese, so if the documentary is inspiring to you, it’s something you can easily attempt on your own no matter where you are in the world (though the promise of ending the day with Japanese food certainly is a motivator). Check out the full 18-minute documentary to see how wrapping yourself in the misty, cool blanket of nature might help you live a healthier lifestyle, then get off your phone and try it for yourself.